We’re happy to have Elizabeth back with us. Last year she stopped by with her Project Run & Play creations using Oliver + S patterns. Now she’s here to share her favorite Oliver + S pattern. Take it away Elizabeth! Hello! My name is Elizabeth and I blog about my sewing projects over at The College Seamstress. You can also find me as @thecollegeseamstress on Instagram. I started sewing by learning the art of quilting through my local 4-H when I was about eleven or twelve. A few years later, I found the world of apparel sewing and have never looked back. 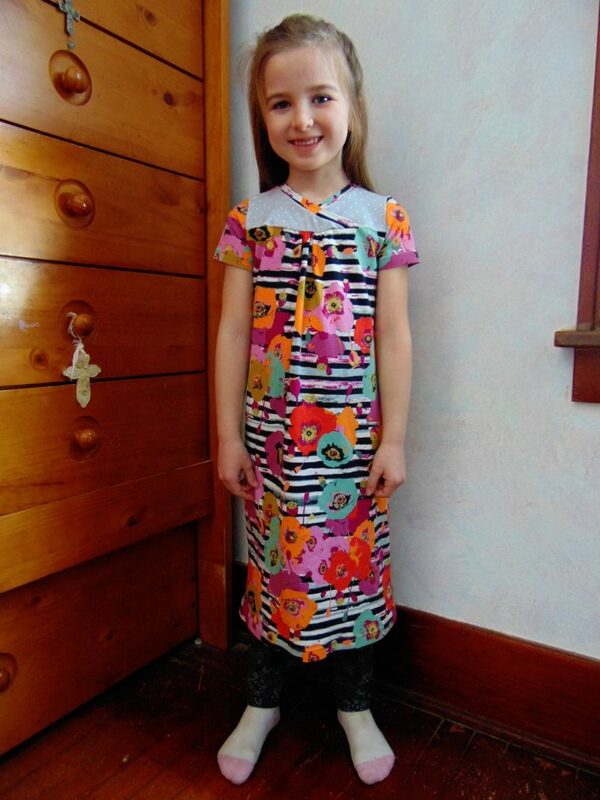 I love sewing clothing for myself and my eight younger siblings. My two sisters are often the lucky ones I sew for if I am not sewing for myself. I remember reading about the Ice Cream Dress on several blogs back in 2010 and that was my first time discovering Oliver + S patterns. After that, I admired the patterns for a long time before actually making a purchase! The first Oliver + S pattern I ever made was the School Bus T-shirt and it is a favorite around here for both my brothers and sisters. 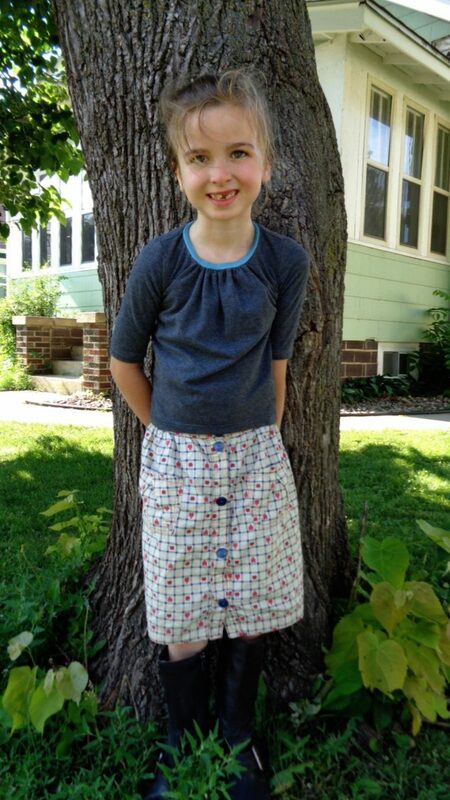 I was going to choose the School Bus T-shirt for my favorite pattern, but as I thought about it, I realized the Hopscotch Skirt pattern is my current favorite! The whole pattern is perfect for making a mix and match wardrobe, but I have made the skirt the most and it is my favorite skirt pattern to make for my sister. 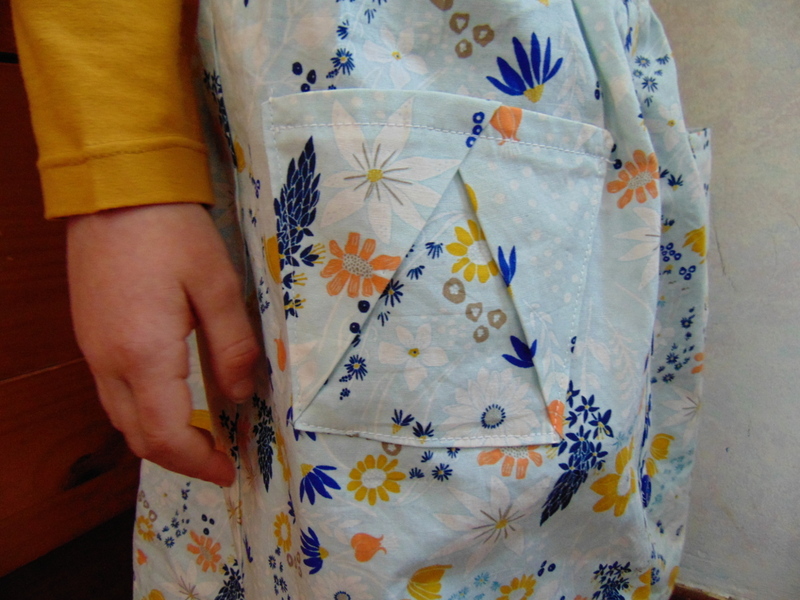 My favorite part of this skirt pattern is the pockets. 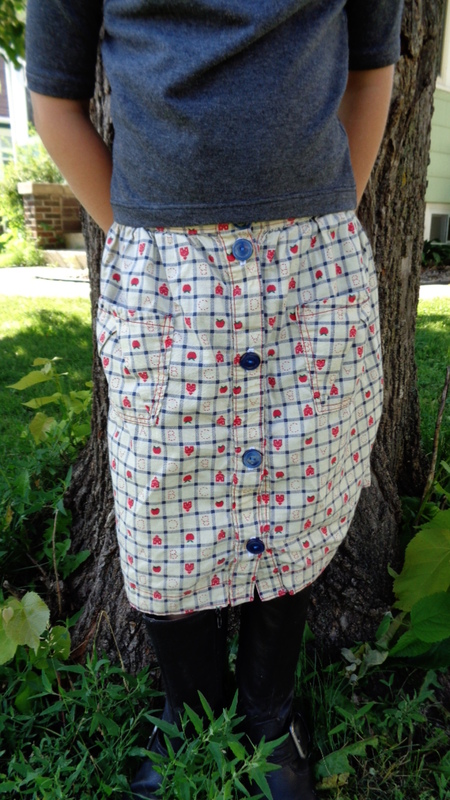 They are so fun to make and add something extra to the skirt! My sister loves pockets in her skirts too. Although I love the pockets, sometimes I want a really quick project, and I leave both the buttons and the pockets off. I do this by cutting the skirt and waistband fronts on the fold as well and then sewing the skirt as usual. 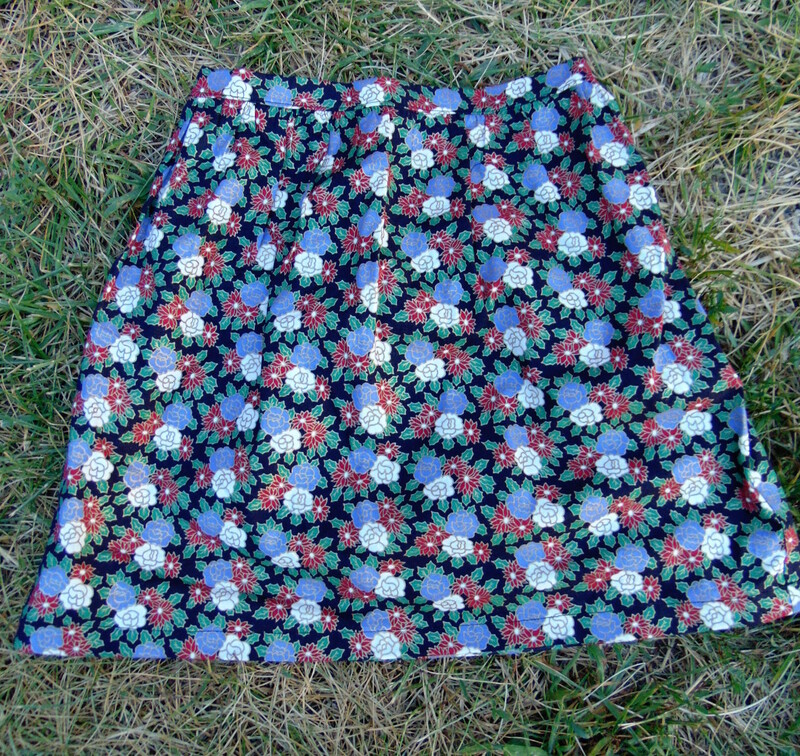 This makes for a cute skirt too and it is what I did for the following two skirts, which I made to donate to Skirting the Issue. 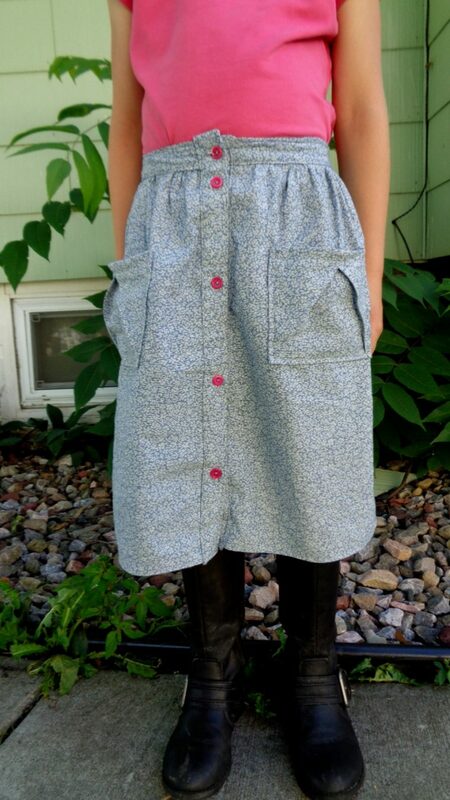 The most recent Hopscotch skirt I made was this chambray version with the pink buttons. I like using simple fabrics and adding detail with brightly colored buttons. Buttons can change the whole look! While I have only made this skirt in various cotton and lightweight fabrics, I have some corduroy fabrics that I would love to try for the cooler fall and winter months. Lightweight denim would also be fun to try! 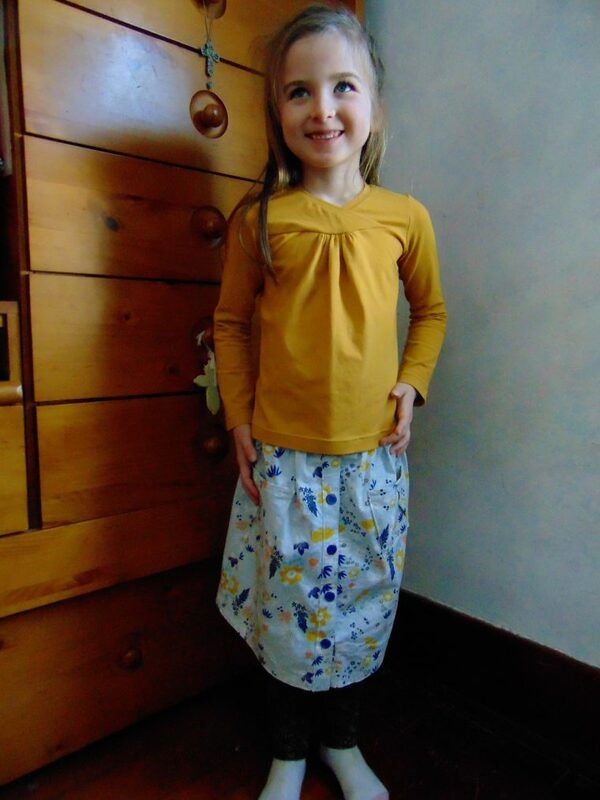 While I have made the skirt most often, I have also made the shirt version and dress version for my sister. I am looking forward to making her more shirts with this pattern too. I love the crossover neckline and the gathered front. The Hopscotch skirt is definitely one of my sister’s favorite skirt patterns to wear and my favorite to make! 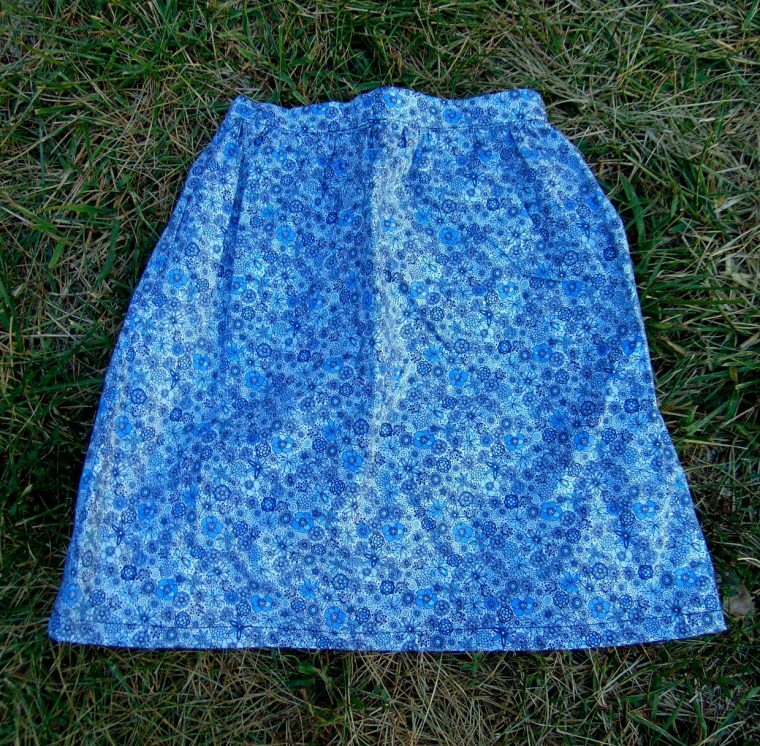 It is a great basic skirt pattern and it can be dressed up or down! I love the Hopscotch shirt! I’ve made three for each of my older girls and just bought the pattern in the smaller size for my twins. I’ve had just a touch of trouble with the neck binding flipping out on my first shirts, but the most recent ones were great. I love the cute detail with the neckline and gathering, and it’s an easy sew. Total win. I kinda wish that it was available as a women’s pattern…Yours are cute!